The Christmas Market is guaranteed to set the Christmas mood for shoppers and vendors alike. 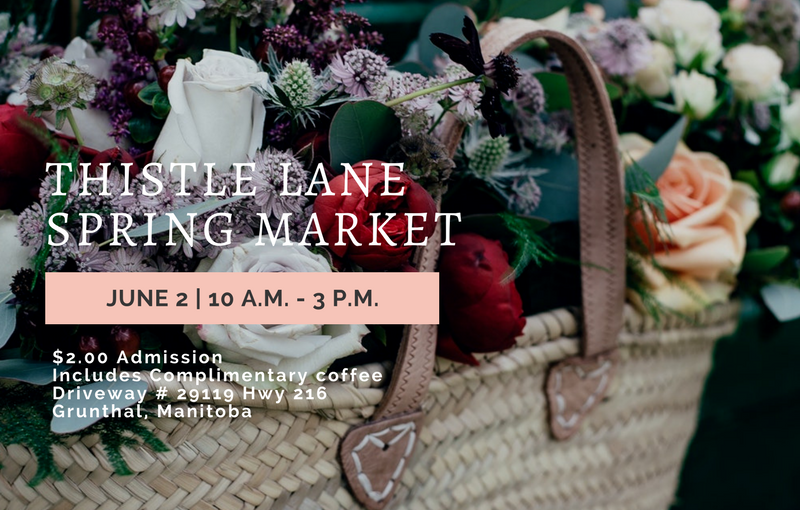 Come and join us, to experience the joy of shopping, in a country atmosphere, all the while looking for that unique gift for yourself or someone you love. Saturday November 11, 1-5 pm. 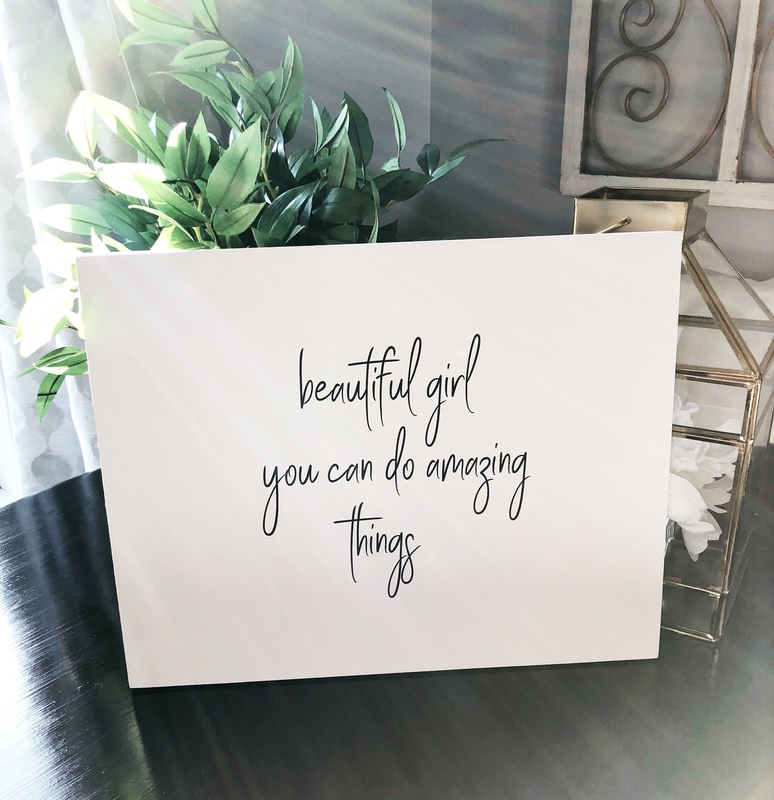 Prairie Pine Decor- Born from our love of woodworking and our infatuation with farmhouse Decor. 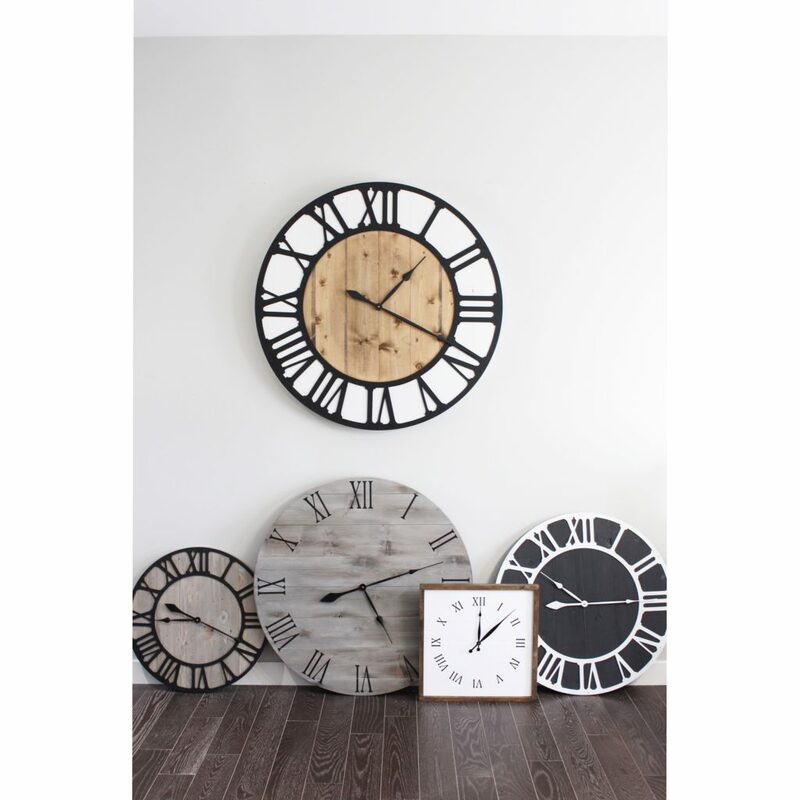 Specializing in handcrafted clocks and home decor. 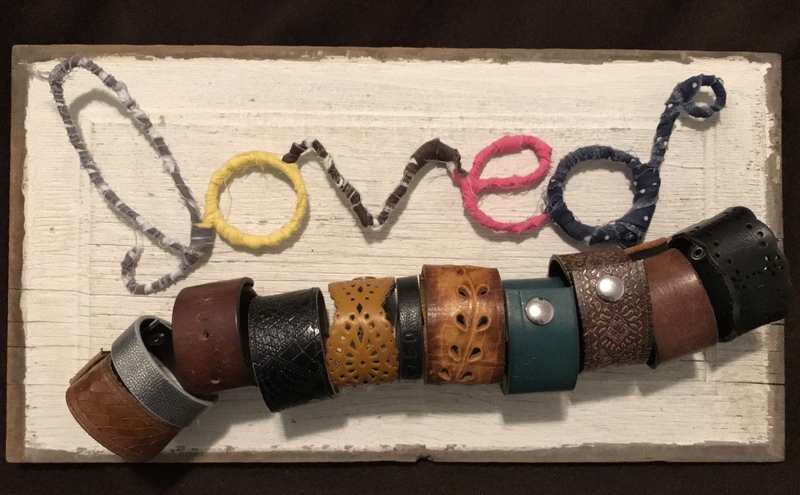 Handmade with Love- Working with used materials as local findings to create vintage indoor and outdoor furniture and decor. Golden Butterfly- We are all about unique handmade items for children and your home. 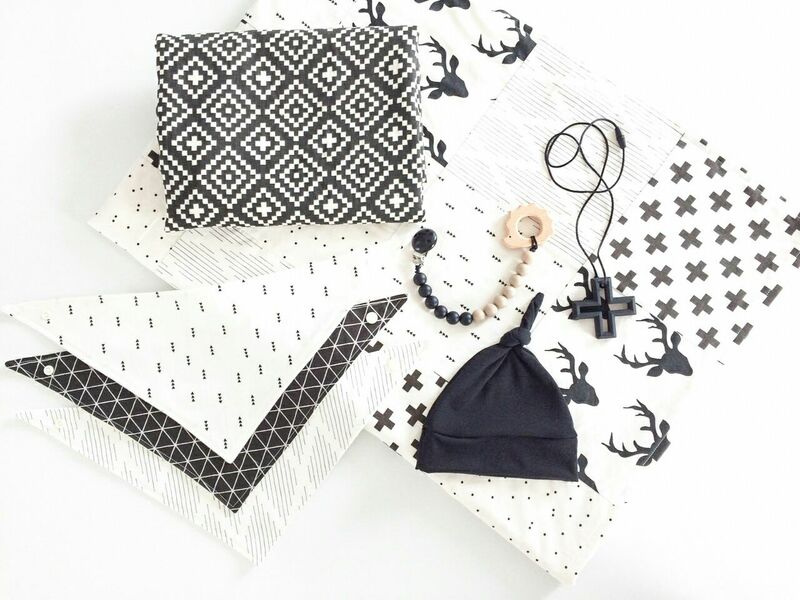 Children’s accessories such as various types of head bands, bibs, scarves, baby blankets and pacifier chains. 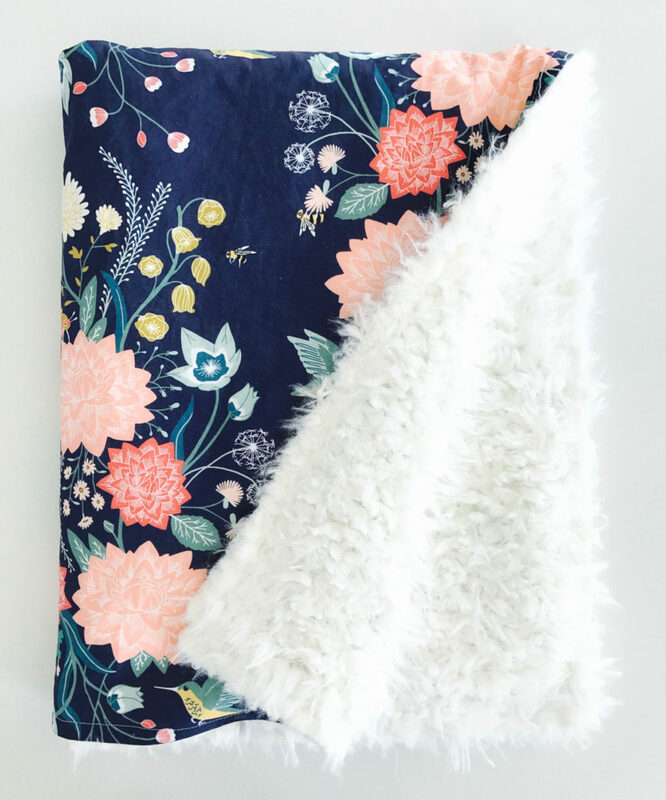 Home decor such as blankets throw pillows and wreaths are only a few items we live to create. Chrystal Sabourin Soaps- Creating soothing and cleansing soaps, perfect for the holiday season. 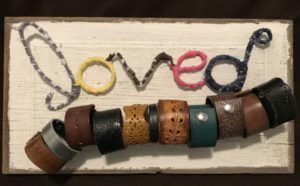 Then & Now – Designs by Wanda- An expression of my love for painting and transforming old pieces into something new and refreshing. 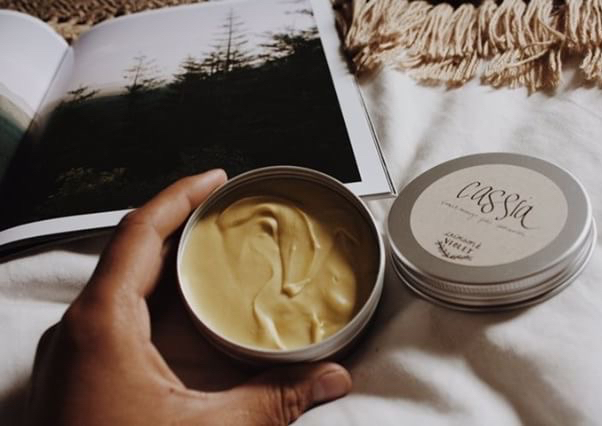 Crimson & Violet- Specializing in Natural Skin care, as well as versatile bags made from reclaimed material. Oma’s Quilt Shop- Selling aprons, and various quilt supplies ready made or made ready for you to create. Old Church Bakery – What a treat to have once again Old Church bring their line up of speciality breads and some Christmas cookies. 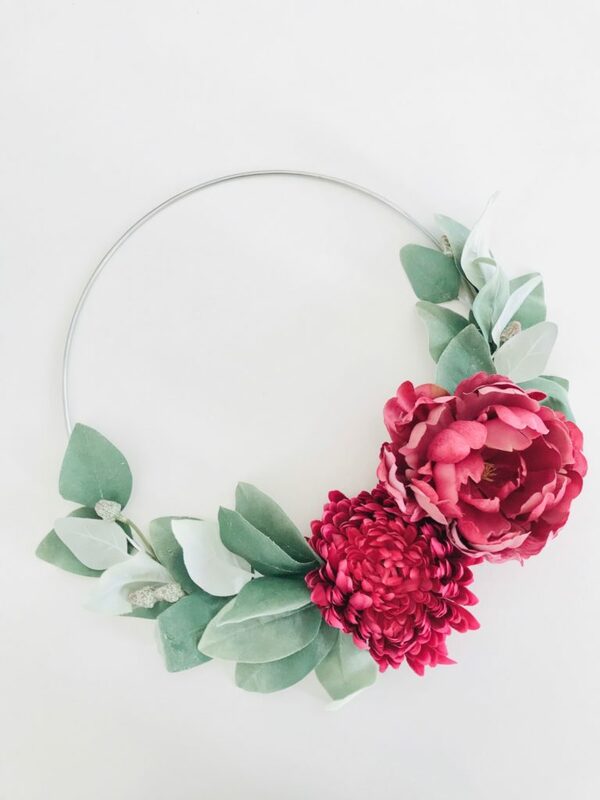 Annie Lynn’s Custom – Creating home decor with a rustic modern touch, vintage inspired one of s kind items. Artist Pivot- A variety of antiques in vintage and retro collectives. A flea markets dream, with an assortment of new and gently used items. Rootsies Baby Muks- Re-purposed leather and fabric toddler footwear that is durable with barefoot like comfort. 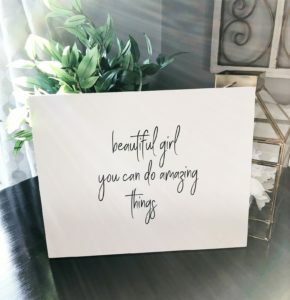 Prairie Pickers – Antiques and rustic home decor are just some of the unique treasures that you will find and be able to add to your collections. 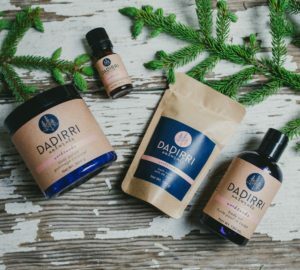 Dadirri Naturals- All natural alternatives for health and beauty at your finger tips. Quality ingredients and hand crafted products that are great for body and your world. 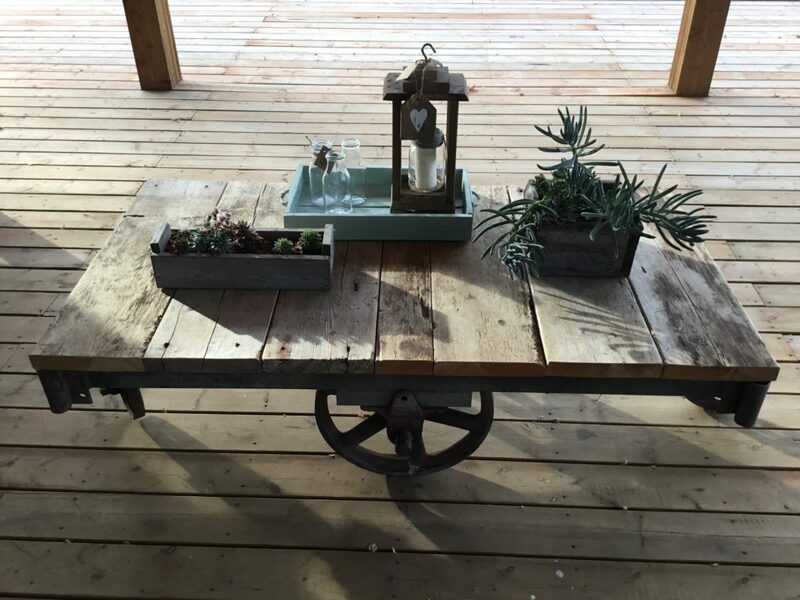 Barnboard & Pallet Creations- A rural Manitoba business specializing in Rustic, Repurposed, and Vintage decor. As you can see, this line-up of artisans and vintage collections is going to be fantastic. We are so excited to host and create a special Christmas shopping experience for all of you. 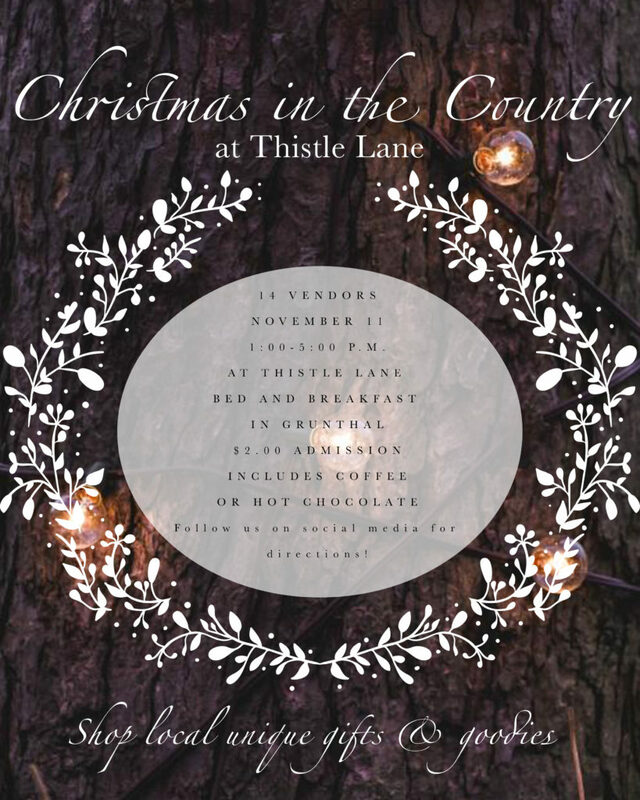 See you at the first annual, Thistle Lane “Christmas in the Country”! 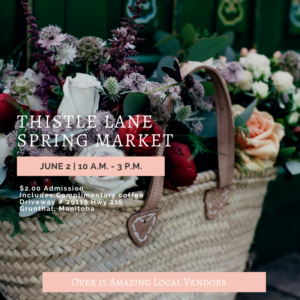 Follow us on social media @Thistle Lane Bed & Breakfast for directions, special sneak peeks and more!